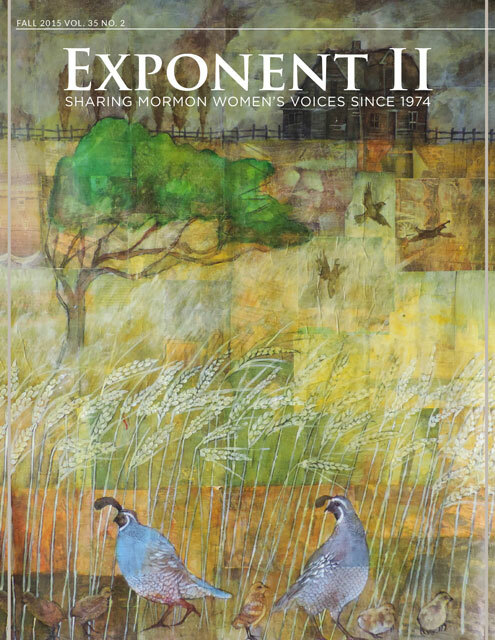 This year’s annual Exponent retreat will once again take place on the shores of beautiful Otter Lake in the New Hampshire woods on September 16-18, 2011. Each retreat is designed to provide a warm environment for open, honest sharing of life experiences, issues, beliefs, and ideas through workshop presentations and, of course, through informal interactions of participants. This retreat‘s keynote speaker will be Jana Riess, a Ph.D. in American religious history from Columbia University, who holds degrees from Wellesley College and Princeton and is a convert to the Church. The Religion Book Review Editor for Publishers Weekly since 1999, Jana is the author, co-author, or editor of nine books, including What Would Buffy Do?, Mormonism for Dummies, and Flunking Sainthood, forthcoming in November. She blogs about Mormonism, spirituality, and popular culture forBeliefnet.com from her home in Cincinnati. Check out her blog . We welcome women to the retreat who are familiar with our publication and are committed to holding an all-women’s retreat. Please leave your husbands, pets, and children at home-with the exception of non-creeping or -crawling nursing infants. If you choose to bring an infant, please be sure that your baby isn’t disturbing the other retreating women’s experience. To get the most out of the retreat, please plan to stay the entire weekend-from our introductions on Friday night to the closing meeting Sunday afternoon. We are now accepting reservations for the retreat. Space is limited, so please reserve your spot ASAP. or when we reach our maximum registration number of 60, whichever comes first, so register early! You can register and pay online by clicking on the link at the bottom of the page or send your registration directly to Cheryl DiVito at 618 Main Street, Brewster, MA 02631. If you have any general questions regarding the retreat, please contact Nancy Dredge atnancy@organizationsunlimited.com. If you are interested in participating in the Saturday night talent show, e-mail Cheryl DiVito at cdivito@capecode.net. Updates on the retreat will be posted on the Exponent II website at www.exponentii.org. We look forward to having you join us for a weekend of enjoying nature, making new friends, becoming reacquainted with old friends, and engaging in stimulating dialogue. Just a note that when the info is live on the http://www.exponentii.com website, there will be a link to register and pay online. Hope to see a lot of you there. So, I have a non-mobile nursing infant and I’m assuming I should get a semi-private room. Are there any left? Are there seriously only 24 spots this year?! 24 semi-private rooms — lots of dormitory space! I am coming, but can’t make online payment work. When i use the site I get my own THARCE-Gulu page for Pay Pal pop up. But I want a semi-private. Please can I be one of the 24??!! anyone want a ride from DC or to be picked up on the way?